Romy Ocon's Wild Birds of the Philippines: Welcome back, Ms. Blue Rock-Thrush! 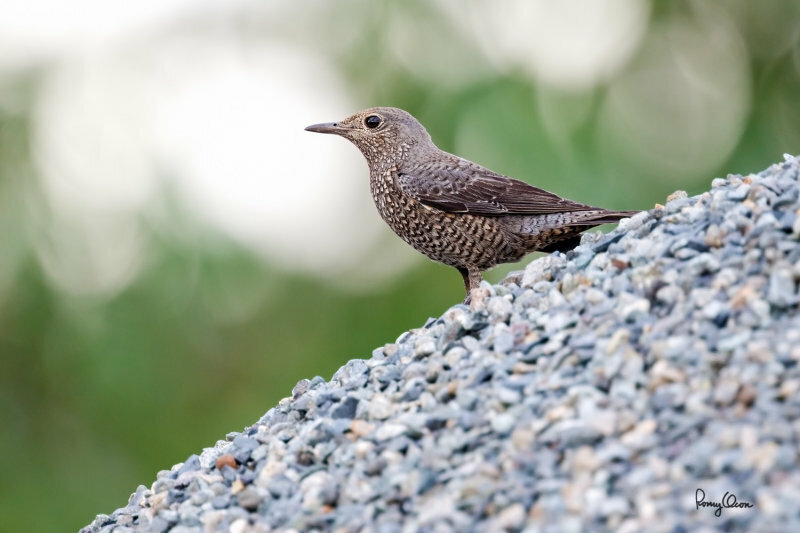 Welcome back, Ms. Blue Rock-Thrush! I've seen this female foraging in a certain part of Bued River since about a month ago, but it was too shy when it newly arrived. Recently, it shed away some of its shyness, and it got easier to approach. Perhaps, it has become accustomed to its new environment, as well as the two-legged, upright creatures walking around. This late afternoon, it perched on a gravel mound nearby. It stayed there for while, allowing me to rush to my camera bag and assemble my birding rig. The skies were partly overcast, so lighting was on the flat side. Nevertheless, the photo opportunity was most welcome, as this was my first shot of this migrant this season. Wishing that I can get even closer, with golden lighting, in the next few days. 560 mm, f/5.6, 1/200 sec, ISO 640, manual exposure in available light, hand held, major crop resized to 800 x 533.